Home / Uncategorized / Diplo & A-Trak HEART the SMF! 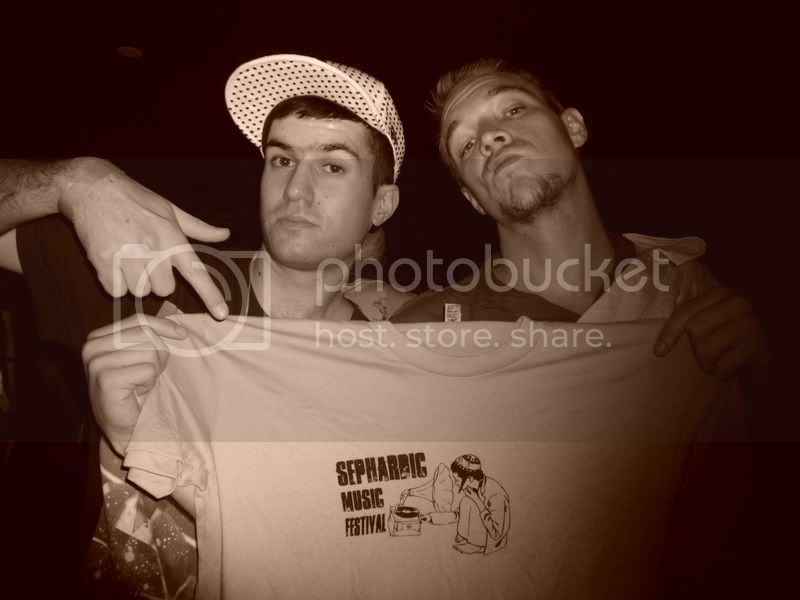 We caught up with Diplo and A-Trak at their Mad Fools After pArty. Mad Fools was that who is who of hipster cool which went down yesterday at Summer Stage. There were over 3000 people there and it felt like the show of the summer. When I hit up Wes (Diplo) with an Sephardic Music Festival (SMF) shirt, he got mad excited and pulled over A-Trak to check it out. Of course I had to snap it. Checks it for your self! Here is some info on the SMF! The Sephardic Music Festival (SMF) is currently planning their fourth annual festival to take place between during the eight nights of channuka, December 20th through the 28th. The past 3 years, SMF have showcased Israeli artists such as Hadag Nachash and Pshutei Ha’am to thousands of enthusiastic fans. All the nights are filled with exciting shows and take place at the hottest NYC venues, such as Joe’s Pub, Knitting Factory, and Webster Hall. The festival seeks to increase interest in and awareness of Sephardic culture, including Mizrahi, Yemenite, and Ladino traditions, highlighting the diversity that exists within the Sephardic branch of Jewish culture and history.